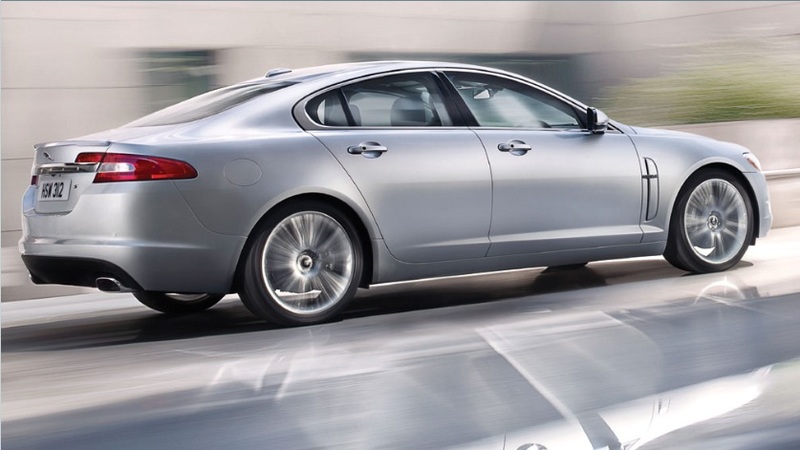 The new Jaguar XF 2011 is perfectly crafted with wealth of luxury finishes. Our review is based on analysis of Jaguar XF 2011 and data available on the official website of Jaguar. Jaguar XF is a pure luxury and one dream car that every car lover wants to get their hands on. With perfect design and advance technical features, Jaguar XF offers a high level of comfort and long smooth journeys. Jaguar XF is for buyers looking for perfect luxury car. Price conscious buyers may want to try the standard Executive addition. 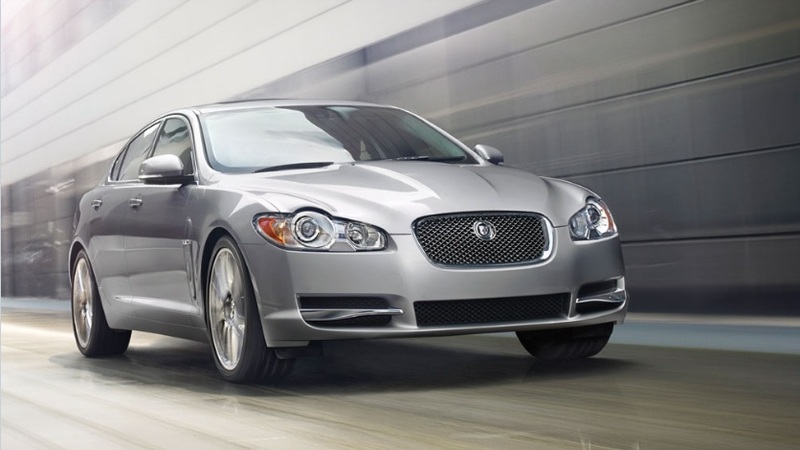 Jaguar XF is a high performer with sporty handling and astonishing comfortable drive. If you are an extreme sports enthusiast, then you may want to try the Jaguar XFR for pure sportier performance. If you are looking for other cars, then the best choices would be Audi A6 and BMW 5 Series. There are slight changes in 2011 Jaguar XF and old 2010 XF carried over to 2011. Jaguar XF is created for excellence with powerful mesh grille, which gives XF a thrilling new design. When it comes to power and performance, Jaguar XF has so much to offer. Imagine the highly advanced two 3.0 litre V6 engines diesel and petrol. If you are still not satisfied, there is 5.0 litre V8 petrol engines that deliver aggressive performance. The 3.0 litre diesel engine produces 237 horsepower and 368 pound feet of torque. The high performing diesel S engine produces 271 horsepower with muscular 442 pound feet of torque. The fuel economy is also good with combined cycle of 42mpg. The 5.0 litre engine delivers even more power of 380 horsepower and supercharged 5.0 litre V8 produces massive 503 horsepower. The Jaguar XFR launches from 0 to 60mph just in 4.7 seconds. It also produces pulse racing growl, which attracts everyone. All the trims come with 6 speed electronic automatic transmission. It is available with Jaguar Sequential Shift system with the steering wheel mounted paddle shifters, which allows more driver involvement. Some of the power train and dynamics features include ix speed electronic automatic transmission, Jaguar Drive Selector, Jaguar Drive Control with Winter Mode, Vented Disc Brakes , Servotronic Steering, Brake pad wear indicator, Electric Parking Brake, front and rear Dynamic Stability Control with Trac Dynamic Stability mode Traction Control. 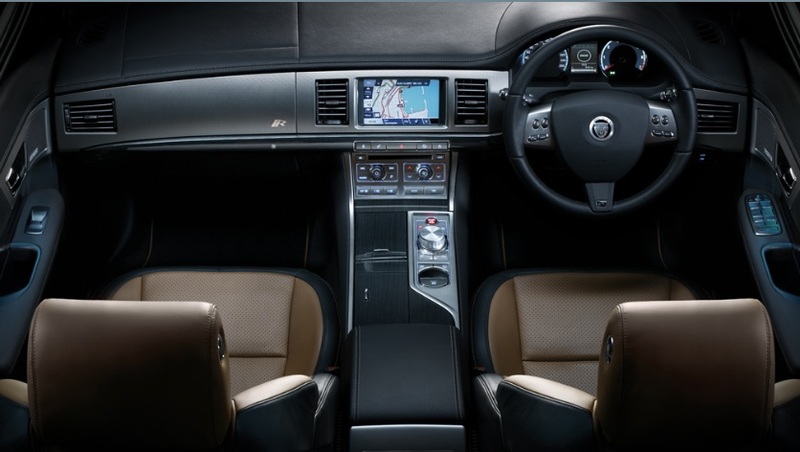 Interior of Jaguar XF is comfortable and luxurious loaded with many high tech features. The quality of materials used is very high. Some of the features include, Automatic climate control, Front centre console storage compartment, 2 front and 1 rear auxiliary power sockets, Twin front and rear cup holders, Jaguar Sense, and remote controls for audio. Some other features include Rear centre head restraint; Folding 60/40 split rear seats, cruise control, and Bluetooth telephone connectivity and Jaguar Voice. There is advanced Navigation system with 7-inch full colour Touch-screen. When it comes to handling Jaguar XF gives you perfect sportier handling. The heavy and muscular look makes XF little sluggish, but do not underestimate it is a perfect car for cornering. Exterior of Jaguar XF is specially engineered to give optimum performance. Some of the key features include LED rear lamps, Bright side window surrounds, Acoustic laminated windscreen and Rain sensing windscreen wipers. The 2011 Jaguar XF not yet crash tested, but the mechanically similar 2010 model received five star rating in front and side impact crash tests. Jaguar XF is loaded with many safety features standard like Airbags, front and side, Side curtain airbags, Anti-lock Braking System, ISOFIX anchor points for a rear child seat, High level rear stop lamp, Front seat whiplash reduction system, Cornering Brake Control, Emergency Brake Assist, drive-away locking function, Security system with volumetric, Pedestrian Contact Sensing – automatically deployable bonnet system, Remote control central locking with deadlocking and Valet mode. Jaguar XF comes with 3 year limited warranty and 6 year unlimited mileage Corrosion (Perforation) Warranty. Always check your local dealer for test drive and complete warranty details.